Calico is a fabric designed from unbleached cotton, using a plain weave and a low thread count. Calico is often not fully processed and can sometimes contain unseparated husk parts. Although calico is not as heavy or dense as denim or canvas, for instance, it is still a relatively cheap fabric because of its unfinished and undyed appearance. Calico is a coarse, lightweight fabric. A pattern is usually printed on one side of the fabric, either by discharge or resist printing. Calico is not necessarily colorfast, and colors may run or fade during washing. The original designs printed on calico were exquisite birds, trees and flowers, but modern calico will more often display a geometric design. 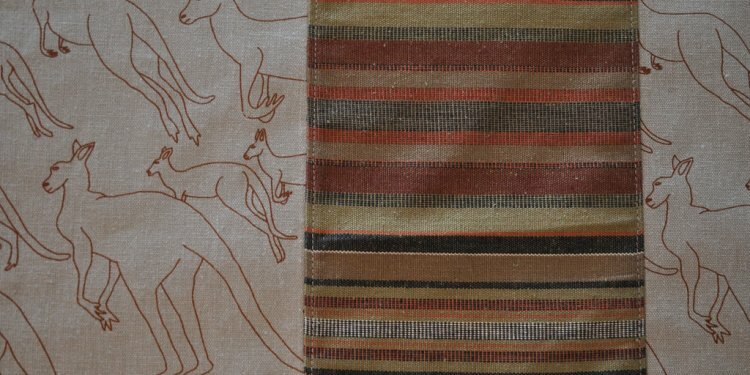 Very little calico is sold on the market today, but often similar designs are used on other fabrics and sold as "calico print." Due to the inexpensive nature of calico, it is often used to create sample products in clothing design such as blouses, dresses or gowns. It is also used to design housedresses, aprons and patchwork quilts. The variety of prints found on calico make it an ideal fabric to use for craft projects. Calico can also be sewn into a sturdy fabric bag. Calico is one of the oldest cottons around, originating from the city of Calicut, Kerala, India, after which the fabric is named. Calico is mentioned by historians before the Christian era, and praised by early travelers for its fine texture and beautiful colors. Block printed cottons were sent from India to England as early as 1630, referred to as "calicuts." The term "calico" was soon used to refer to all Indian cottons with an equal weft and warp, then to any plain-weave cotton. In the early 1700s, England banned the importation of cotton fabric from India, in an effort to boost the English textile industry. At the time, printed calico was particularly popular amongst the women, who were known as "Calico Madams." The attempted ban failed, and was reinforced in 1720, known as the "Calico Act." This almost destroyed the Indian textile industry, and India was forced to buy British textiles.